Event Description: Come and join our celebration of the social fabric of Launceston. The evening will feature a sprinkling of global dances, costume, stories and supper, so we can enjoy and gain a deeper understanding of each other in this fabulous women's cultural night. Inspired by night markets from around the world, the ‘Launceston Night Market’ will look to bring together creative people from Launceston’s food, music and beverage sectors. At our night market the emphasis is more on "night" than “market”. Our market will celebrate our community and showcase many wonderful local producers. Join us to celebrate the end of the working week with a glass of cider or meet your family and for an easy dinner. What ever the decision we hope you will join us on Friday the 10th of August Civic Square, from 5 to 9pm. 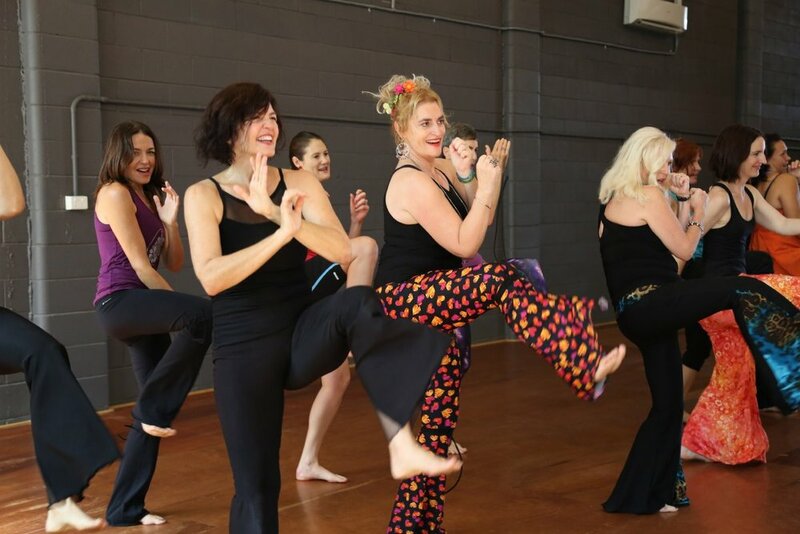 Event Description: Nia is a fun, uplifting, energising, healing journey of JOYful movement with inspirational music. A grounded, cardio movement class. A mind, body, spirit conditioning. A blend of dance arts, healing arts and martial arts. Join us for a breakfast meeting with Rostrum Launceston. We meet weekly to practice public speaking in a supportive and fun environment. Please come along and join us in celebration of the Tamar Peace Festival. We will be speaking on a topic that is taken from the Rostrum promise, and supports the Festival's theme of Respect: "I promise not to be silent when I ought to speak". You might choose to speak or just listen. Event Type: Public speaking, friendship and breakfast – All welcome. Venue: The Pantry, 64 Charles Street. Other Information: You may choose to purchase breakfast for $8.50 - $10 per head. and includes a barista made coffee. Target audience: Open to the General Public. Participants will be invited to say a few words about 'Peace and Respect', and listen to other members and guests taking part in impromptu speaking, and delivering prepared speeches. There is no cost to attend, and a free supper is served with teas and coffee. Event Type: Launceston Toastmasters Club meets twice a month from 7pm to 9pm. On 8th August our theme is 'Peace and Respect'. Each meeting is structured to work on impromptu speaking, prepared speech projects and leadership skills. Speeches are evaluated for commendations and recommendations in an encouraging, supportive environment. Come and see how Toastmasters can help you to achieve your confidence, leadership and speaking goals. Event Description: At this event, you will be invited to say a few words about 'Peace and Respect' and listen to other members and guests taking part in impromptu speaking, and delivering prepared speeches. There is no cost to attend, and a free supper is served with teas and coffee. Good communication and leadership skills can change your life! How well you verbalise your thoughts and ideas, determines the impression you make on people and, ultimately, your personal success. Toastmasters will help teach you to organise, and present, your ideas logically and convincingly. We assist you to develop leadership skills and self-confidence that will enable you to handle just about any speaking situation with ease. 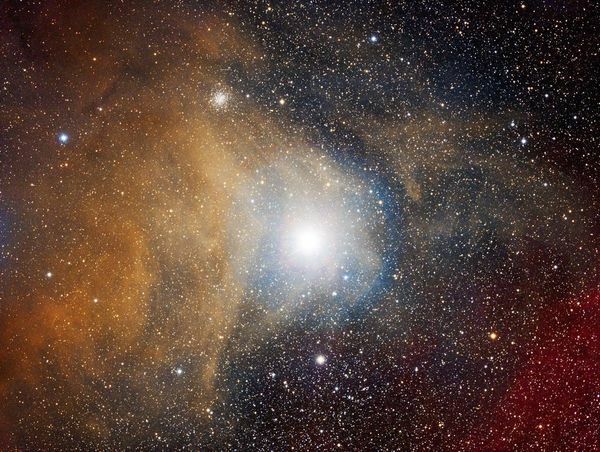 Event Description:This is an image of the bright star Antares in Scorpios. It has great significance in Arab, Persian and Indian astronomy traditions and will be in the eastern sky on the 8th of August. Mars shines brightly red when it moves through Scorpius and hence, in proximity to Mars in the sky, it gets the name Antares meaning Rival to Mars. It's also known as the Heart of the Scorpion in both Greek and Persian traditions. Join us to hear more stories about the sky from different cultures and share your own cultural stories. Event Description: Stephanie will lead a Dance Movement & Meditation session for Peace, Joy & Wellbeing. Sooth flowing music to support resting states and a combination of stirring, flowing, uplifting & rhythmic eclectic world music with guidance to inspire your creative dance movement. Practise suitable for adults 18 - 80 years, with no dance steps to follow. Please bring a yoga mat or blanket, water bottle & wear comfortable soft clothing that allows for movement. Event Description: The Philosophy Café is a regular opportunity for members of the Launceston community to meet and discuss, in some depth, a philosophical topic of their own choosing. The Café is hosted by philosophers from the University of Tasmania as part of its commitment to ongoing intellectual engagement with the broader Tasmanian community. As part of the 2018 Tamar Peace Festival the Launceston Philosophy Café will consider some philosophical dimensions of the theme 'respect'. Target audience : Target audience people with a disability from 5yrs through to seniors. On this occasion we are opening the session up to the community to join in. Organisation: New Horizons Club - provides sport, recreation and social opportunities for people with a disability. Event Description: This dynamic panel features three powerful Tasmanian women talking about managing through change, work-life balance, managing your Board and power dynamics. 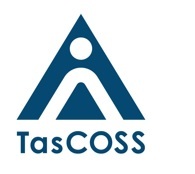 TasCOSS CEO Kym Goodes will host this unique networking and professional development opportunity. Just some of the Peace works in the mini arts trail being launched on the 5th August 2pm. Event open to all ages with an interest in sewing. Event/Project Type: Sewing together for birds, sealife and wildlife. Event/Project Description: Colourful bags will be made from upcycled fabric to replace single use plastic bags. These can be reused many times in any way that a plastic bag is used. Experiencing peace by working together on a creative solution to an issue of concern to us all. Showing respect for all living things by reducing the potential risk to birds, sea creatures and wildlife. All materials will be provided and a suite of sewing machines set up to sew and participants can keep what they make. Target audience: This event is open to the general public. This is a great opportunity for migrant groups to share their culture and traditions and to involve the wider community to share their food. Event Type: The vision of the Community Kitchen is to create opportunities for new migrants to help people from culturally and linguistically diverse (CALD) backgrounds feel welcome, form relationships and integrate into the local community. It also provides them with broader social and support networks and raise cross-cultural awareness in the community. 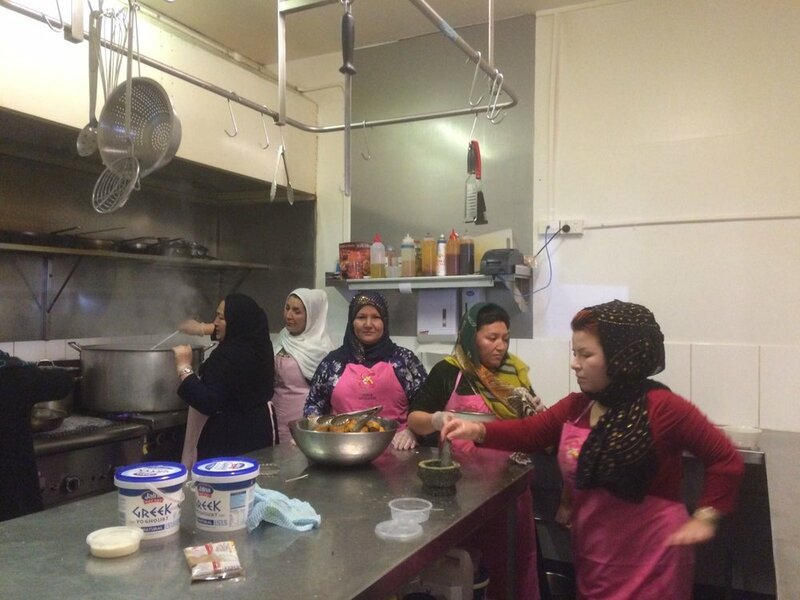 Eventt Description: The Community Kitchen provides nine Migrant Resource Centre North community groups the opportunity to take turns cooking traditional foods each Sunday, as the Tavern hands over its kitchen to local migrant cooks. Entry/Participation Cost: The cost of your meal and drinks. Traditional Persian Calligraphy Workshop - Part of the Our Global Village Celebrations. Part of the Our Global Village Celebrations. Persian calligraphy is one of the most famous traditional arts in Iran that is common in letters with Arabic, Urdu, some parts of India, Turkey, Tajikestan, and Afganistan…. but the style of writing is a bit different. Iranian calligrapher performs their art works with two style of writing (Nastaliq and Cursive Nastaliq). They are usually written in the form of short line of a famous poem or phrase. Calligraphy has an old historical background. Calligraphy in the Middle East has always had architectural applications; as a sacred art to write holy words of Qur'an and other religious quotes and as a decoration to make architectural monuments such as mosques and shrines look more and more beautiful. • Community engagement to learn how to write the simple word or their name with traditional calligraphy tools: "Bamboo Pen", and "Traditional ink" over special paper. • Able to take home everything that has been written for them in a new language to put in a frame! Target audience : Open to the public. Mandala Group Collage is open to the general public of all ages, and there is wheelchair accessibility. Participants will be invited to join in the process of working as a small group to develop a joint collage using paper plates and CDs as our base. Small groups and families are welcome to attend, if you’re attending as an individual or pair please be open to the experience of meeting some new people. All material provided. Event Type: The purpose of the event is to bring people together through creating a project together. It’s very much about the process and the interactions throughout the process and it’s a nice tool for existing groups or for individuals wanting to try the benefits of creating mandala’s and art. Event Description: Everyone is invited to make a mandala using the art materials supplied. The base for the mandala is a paper plate or CD and when each piece is completed it will be add to create a group mandala. All ages are welcome and catered for and no previous level of skill or creativity is required. Venue: West Launceston Primary School - Kinder building, look for signs. Other Information/Questions: Donations will be happily accepted for art supplies provided. Event Description: A delicious 3 course Afghan meal will be prepared in the Kitchen Classroom at West Launceston Primary School. The workshop will be limited to 8 people. Participants will sit with Afghan tutors and enjoy sharing the delicious meal together. Event/Project Image: I have emailed an image. Participants, with an interest in learning embroidery techniques, can come and work beside Afghan women to learn the beautiful art of embroidery. Event Type: Through the process of creating beautiful artwork together people experience peace. The sewing circle will be supported by an interpreter to encourage conversation and clarification of the intricacies of Afghan embroidery. Event Description: Over the centuries, many ethnic and regional groups have developed their own form of Traditional embroidery in Afghanistan. It involves a combination of a range of materials, stitches, colours and designs. The main ethnic, regional and urban groups have their own embroidery styles. We are fortunate in Launceston to have many talented women sharing the Hazara style of embroidery. Different types of silk, cotton and wool yarns are used for embroidery on a range of different fabrics Metallic threads, spangles, sequins, mirrors (shisha) and metallic braids are also often incorporated into the designs. Beads and mirrors are also used. Participants will have the opportunity to try a range of stitches and techniques and will be able to take a piece home with them. Please bring a yoga mat, water bottle & wear comfortable soft clothing that allows for movement. Event Description: Dance Movement & Meditation session for Peace, Joy & Wellbeing. Event Type: Two course sit down dinner for the street community of Launceston. Note: This event is not open to the general public. Event Description: The Peace Dinner provides the street community a safe place of peace and acceptance with a trained team of volunteers providing a listening ear and a hearty home cooked meal. Does your venue have wheelchair access: Wheelchair access can be provided. Food Services by South Coast Canteen. You're invited to our Launceston Community Welcome Dinner! Do you love trying foods from different cultures? Are you new to Australia and want to meet more local friends? Do you want to build a welcoming and inclusive community? Then join us at a Community Welcome dinner in Launceston, celebrating with the Tamar Valley Peace Festival! A Community Welcome Dinner provides opportunities for new and established Australians, people from all walks of life, to share delicious food and make new connections. Cook your favourite food or bring a dish from your culture and share it with us at a pot luck-style dinner. Be touched and entertained by stories of life, love and change from the people you meet. Find out how much our multicultural and multifaith communities have in common. You will be surprised! Entry is FREE and everyone is invited. Places are limited, so register now to book your seat! This Community Welcome Dinner is proudly supported by the University of Tasmania, the Northern Suburbs Community Centre and in conjunction with the Tamar Valley Peace Festival. Register online at launcestoncommdinner.eventbrite.com.au . Sign up every member of a family or group of friends individually in your booking. On event day, we will mark your names and assign you a dinner table number. Bus no. 6 or 10 to stop 13 George Town Road. Car parking is available on site and on the road. University of Tasmania students may catch the free UTAS bus from Newnham Campus departing at 5.45pm. Please ensure you register for the bus through eventbrite. What food shall I bring? Bring a savoury or sweet dish to share with other guests. Please bring food that does not require heating or assembling at the venue as there will not be cooking facilities available on event day. We will contact you before the event to answer any questions. I have special dietary requirements. Can I attend? Yes. All guests will introduce their dishes and the ingredients before dinner starts. If you are unsure of what a dish contains, please ask our facilitators at your dinner table and they will be happy to help you. You may bring something you wish to eat yourself. Some guests may also cater to people with special dietary requirements. We advise you to be aware of your own needs and not risk anything you are not sure of. Will alcohol be served? Can I bring my own wine or beer? All Welcome Dinner Project events are alcohol-free. We provide water, soft drinks and juice. Can I attend if I can’t communicate fluently in English? Yes. We welcome people from all backgrounds and encourage cross-cultural connections. Our facilitators at your dinner table will be happy to assist you. Can children attend the event? Yes. We advise all children be supervised by their parents/guardians at all times. Children must be registered under the bookings of their parents/guardians. We will contact all registered participants by phone and email before the event. You may highlight your concerns to our friendly facilitators before the event or on the day of the dinner. Proudly supported by the University of Tasmania, the Northern Suburbs Community Centre and the Tamar Valley Peace Festival. Event Description: Come and join women and girls from various cultures as we dance together for peace. No dance experience is necessary, just lots of enthusiasm. Everyone is welcome. Target audience: This is in an inclusive event that is free to participate and attend and is aimed towards people of all ages and all abilities. Event/Project Type: Taking the Lead is an inclusive public performance that requires you to get involved and bring your pet along. Imagine Civic square is your runway, you have two Mc’s discussing you and your pets fashion style, the Ferguson’s are playing there is a crowd and so much support. This is a public performance with volunteer performers at the Civic Square precinct, and is guaranteed to be a fun and entertaining afternoon for all. If you love animals and love dressing up – then we want you on the runway. If you like to dress up , but do not have a pet – no problem, soft toys are welcome. Everyone else – we want you in the audience. Event/Project Description: To participate with your pet please contact adstudiospace@gmail.com to register your participation and find out about rehearsal times. This is a free, inclusive all ages all pets event – *BUT please note you are responsible for your pets behaviour (and any business it may do) So, whilst all care is given by organisers – you are responsible for your pet. The parade starts at 2pm on Saturday 3rd of August. You may wish to bring a camp chair. Event Type: People will be able to make their own portable garden box to grow their own food at home. Food security brings Peace and the added joy of planting and tending a garden for the person growing the garden. Event Description: A hands-on practical activity where participants can build their own garden box. It is simple to do and fun to make.